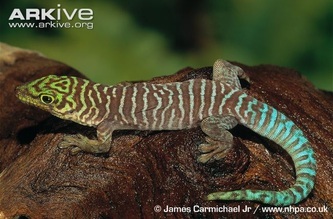 Feed: day geckos diet usually consists of crickets,mealworms, and sometimes mashed papyas. 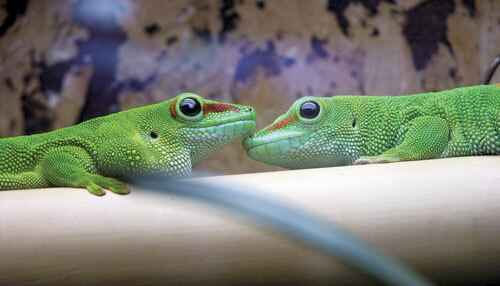 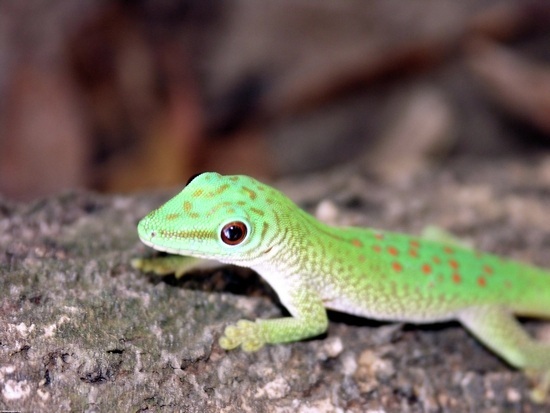 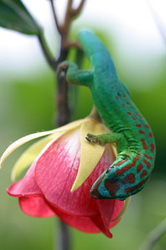 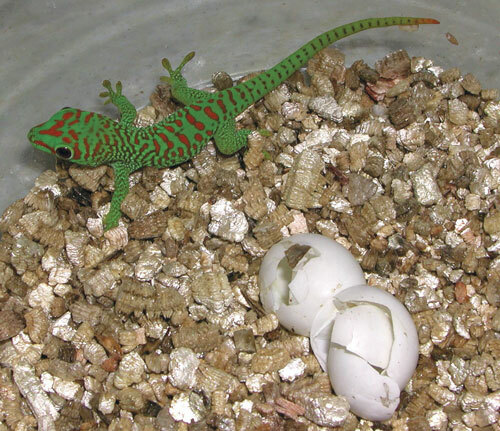 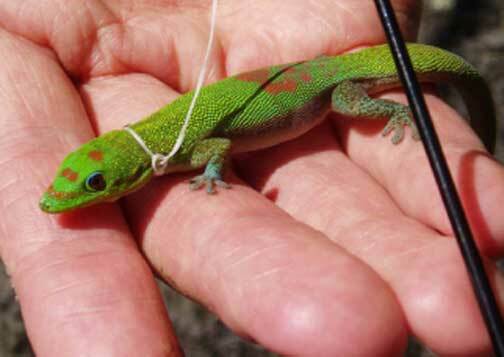 In the wildday geckos usually eat Spiders, scorpians, crabs, and insects. 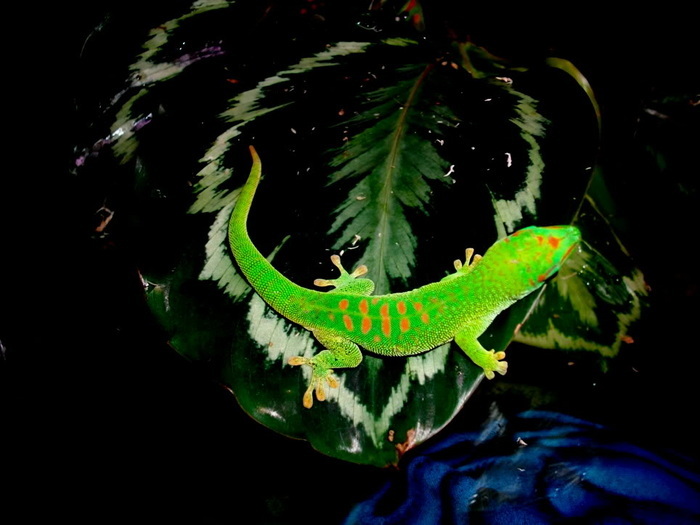 Habitat: the enclosesure for a day geckos has to be fairly big and if you are housing more than one gecko your enclosesure has to be bigger. 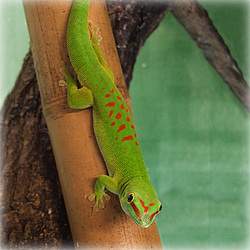 Make sure that you have wood or stalks of bamboo for the eckos to climb up and around the habitat. 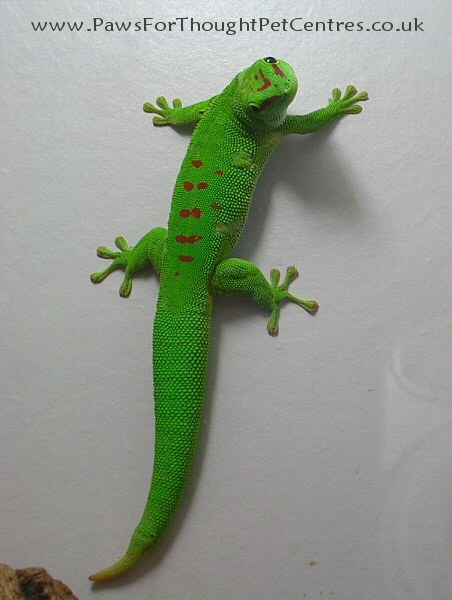 There alos needs to be plenty of places for the geckos to hide so That they feel secure. In order to keep the humidity levels up you can put pebbles on the bottom of the tank and put soil over them, you can also put moss around the tank to keep up the humidity levels. 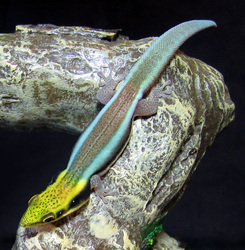 Behavior: Day geckos are very easily stressed and when stressed some times will drop their tails (tails will grow back but sometimes not exacly the same.) They do not like to be handled and are very squirmy and very fast. 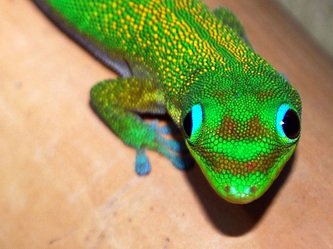 I have a day gecko myself and he escapes a lot so my lid is taped closed because of it but i hav become very good at catching him. 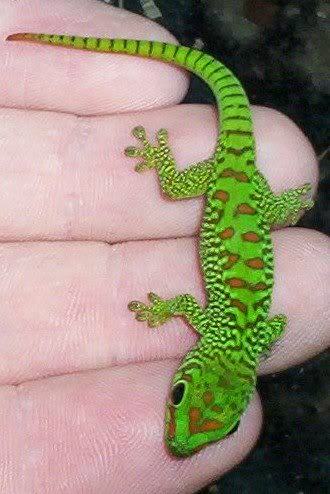 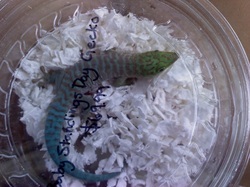 This is my Day Gecko El Tigre he's new and he is an escape artist he gets out all the time. 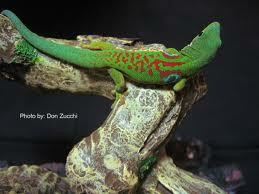 He knows wat he wants he escaped and went under my chameleons hea lamp cause he was cold.